You will be feeling it with the Rav4 now in run out and the head turning Kluger with a great finance offer across the 2018 ranges, so take advantage of this great deal and get ready for your next adventure. Offers ends 30 April, so get into Waverley Toyota or book a test drive online today. 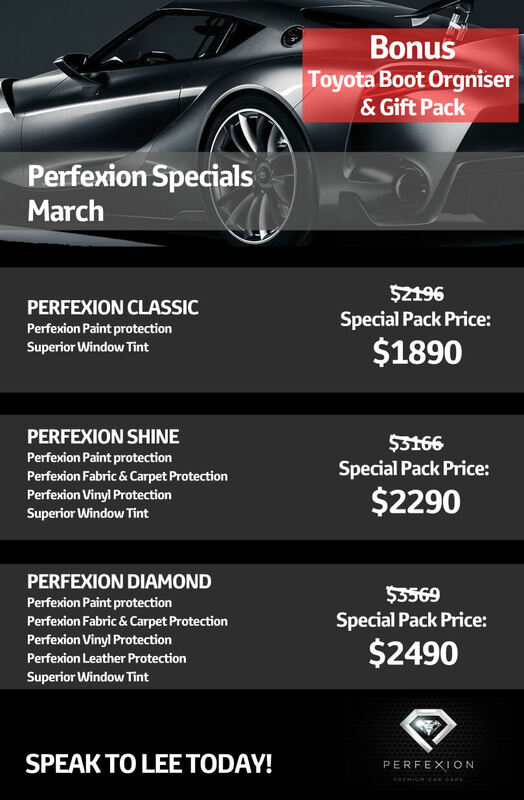 Don't miss out on our great March offers. There’s a lot to love about owning an All-New Corolla Hatch, and capped price servicing is just one more thing. An annual $175* set price for full log book servicing gives you the confidence of knowing exactly what you’re up for, so you can avoid nasty surprises. *Applicable on All-New Corolla Hatch produced from June 2018. Maximum payable for a standard scheduled logbook servicing (normal operating conditions) for 5 years or 75,000kms (whichever occurs first) up to a maximum of 5 services. Service interval is every 12 months or 15,000 kms (whichever occurs first). Excludes Government and Rental vehicles.E&EO. LMCT11333. Keep your car tidy and organised with this quality Toyota Genuine Boot Organiser. This promotion is not available in conjunction with any other offer. While stocks last. Photos are for illustration purposes only. E&EO. LMCT11333. Capture every moment on the road with Toyota Genuine Dash Camera, designed to provide a safe and memorable driving experience. The continuous loop recording allows up to 540 minutes of footage* to be saved onto the camera’s microSD Card which can be viewed later on your Dashcam app or PC viewer. Triggered by impact, the parking surveillance feature will record video from your car’s perspective even while unattended, and Impact Detection Technology will temporarily save the footage onto the microSD Card (a). The Toyota genuine Dash Camera ensures peace of mind at all times. Available now for Toyota Camry (Nov 2017 production models onwards) and HiLux (April 2017 production models on wards), coming soon to other Toyota vehicles. * Continuous loop maximum range dependant on video quality settings. (a) MicroSD card can store a maximum of 10 (20 second long) events recorded by Impact Detection Technology. Once 10 events have been recorded, new events will be recorded over previous recorded events. Fore full details see the Toyota Genuine Dash Camera Owners’ Manual.